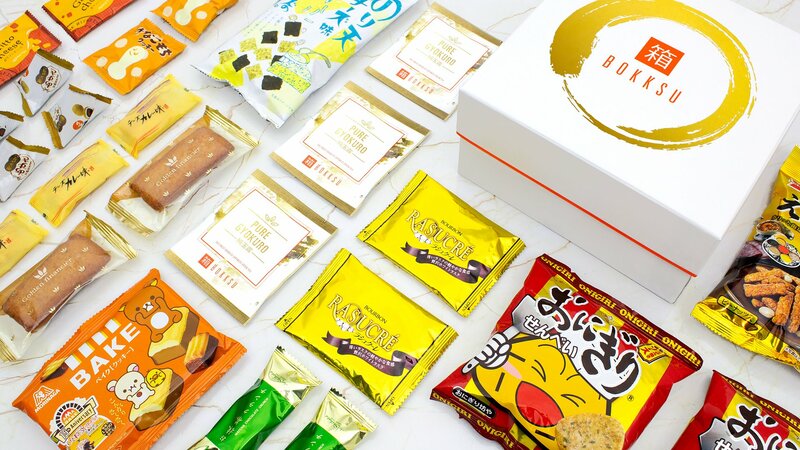 BOKKSU is a premium subscription box business that delivers authentic Japanese gourmet snacks to food lovers every month, across 70+ countries all over the world. The concept behind the brand is straight forward: what is the most enjoyable way to understand the food culture of any country? Through its snacks, for sure! Launched in 2016, the company has shipped over 2,000,000 snacks worldwide. And every product you find in the boxes is locally sourced in Japan, from traditional family businesses. "As a bootstrapped startup experiencing 10x growth over the last couple of years, we were having trouble keeping up with the resulting increased number of tickets. Thanks to Gorgias' intuitive interface and deep integrations with all of our Shopify apps, our small team is able to work efficiently and scale up while still providing a high level of customer support". The whole company is based on its founder's story, Danny Taing. Born and raised in New York City, Danny moved to California in his early 20s to study Psychology and Japanese at Stanford. Then he worked at Google but quickly decided to quit his job to move to...Tokyo! After four years spent in Japan immersing himself in the culture, traveling all around the country and enjoying gourmet snacks along the way, he went back to the US to study computer science. However, Danny felt more and more attracted by entrepreneurship. He thought he had the right mix of skills and knowledge to turn his passion - namely cultural sustainability - into a real company. Thus, BOKKSU was born and Danny's mission became a real challenge: broadcasting such a complex culture and a rich history through a snack box. A way to ensure authenticity was obviously to work directly with Japanese local producers. Thus Danny started building solid and long-term relationships with family food businesses and snack makers in Japan, avoiding intermediaries and global food corporations. Danny knows his suppliers (mainly producers), and often goes back to Japan in order to ensure efficient working relationships. That's how you do business the proper way in Japan! 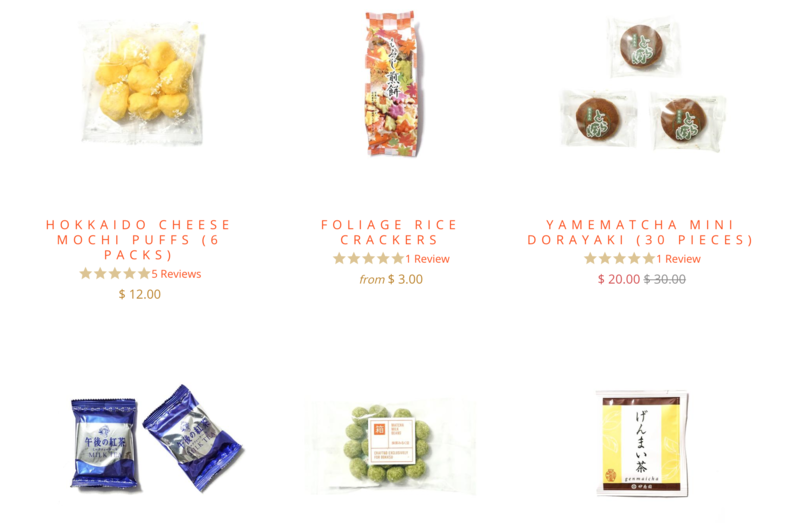 Alongside the monthly boxes, BOKKSU has developed its delicatessen, an online marketplace where customers can find the most popular snacks from previous boxes. Today, the company has 10 employees and a subsidiary in Tokyo. Three people are responsible for sourcing products, all of them are Japanese. Five others are responsible for Marketing and Design and one person is dedicated to customer support, using Gorgias. Though, a year ago, the company was not organized this way. Danny was handling support on his own, combining Zendesk with his own mail box. Support became harder as the company grew rapidly. And even though Danny hired a freelancer to help him out on this, the situation remained complicated. The problem did not seem to be on the human side of their process but on the process itself: Zendesk was simply not adapted to BOKKSU's way of doing business. So Danny started looking at better integrated solutions. As a "tech guy" that studied computer science and worked a few years in the Silicon Valley, he knew about this type of SaaS integrated solutions. He decided to focus on a platform that perfectly integrated with the softwares he was using to run his business, mainly Shopify, ReCharge and Yotpo. One day, Danny was browsing Try The World's website, another subscription-based business dedicated to delivering food boxes right to customers' doorsteps. He spotted the chat bubble, at the bottom right of the website and liked its modern design and the way it was displayed. 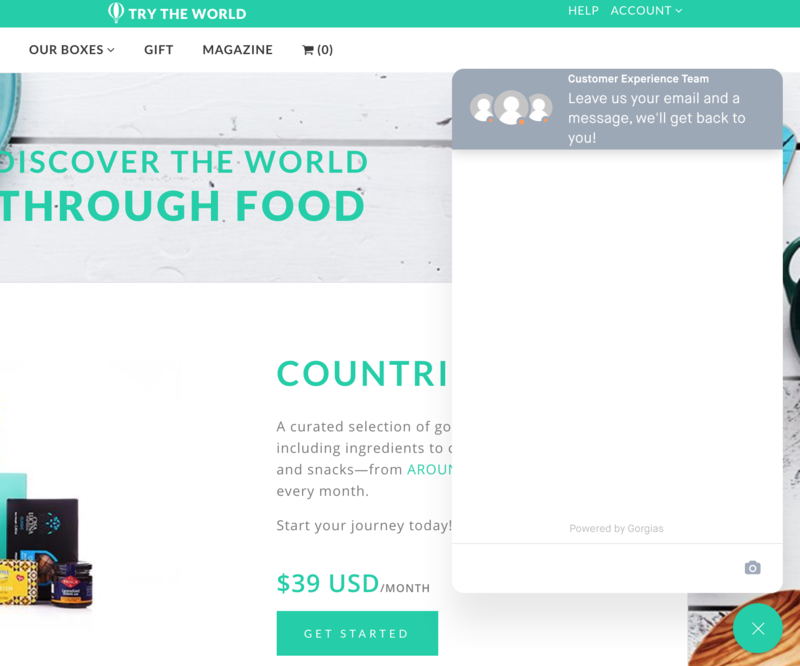 It was straight forward, adapted to their Shopify theme, and original: he had never come across Gorgias's chat bubble before and quickly understood he needed the same on his own website. Danny was quickly convinced by the solution. First of all, Gorgias allowed him to perform Shopify and ReCharge actions directly from the helpdesk, which was not the case with Zendesk. He could finally say goodbye to the multiple windows opened at the same time to deal with one customer's issue! Since BOKKSU's product is simple and subscription-based, the customers mainly ask the same questions over and over again: update a shipping address, provide a tracking number etc. The possibility to use Shopify variables within macros and Gorgias smart tags' system was a quick and valuable win for Danny and his whole team. 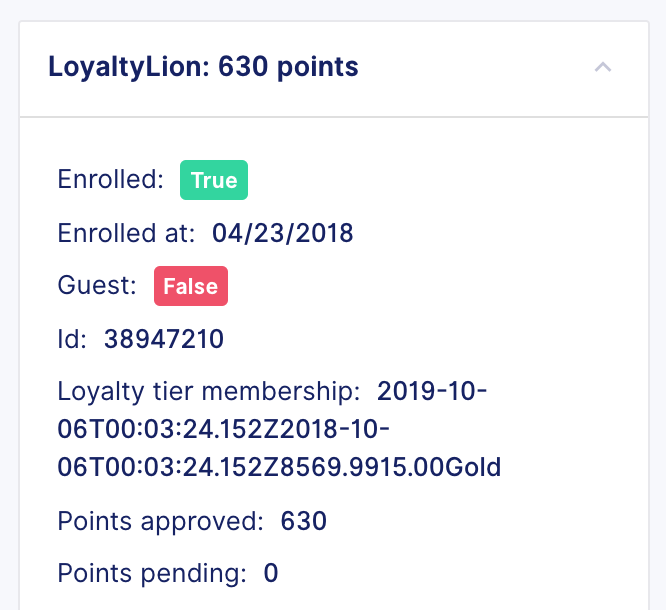 Moreover, Danny was able to integrate both his LoyaltyLion and Yotpo accounts into his dashboard, through Gorgias's HTTP integrations. This allowed him to display his customers' points balance and reviews left when chatting with them by email, over the chat or on social media - thanks to Gorgias's right sidebar. Apart from this fully integrated environment that Gorgias was able to provide BOKKSU with, Danny found it very convenient to be able to add a team member whenever you want to, without any pricing and additional set up efforts. 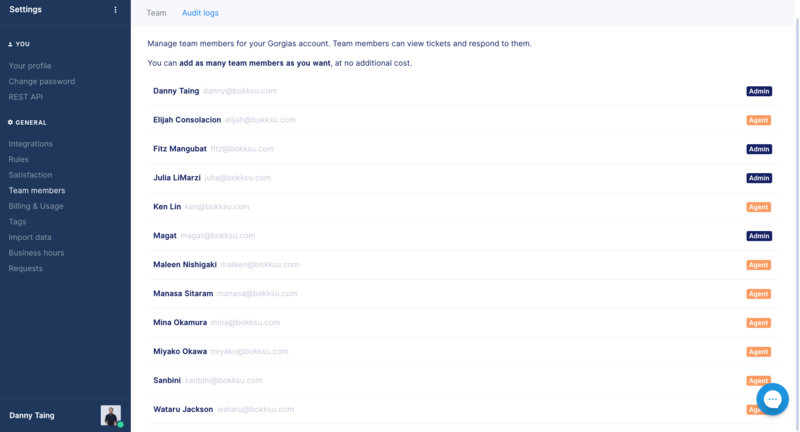 Unlike Zendesk, with Gorgias you can have as many agents as you want, which is very adapted to startup environments (everybody at BOKKSU does a bit of support) as well as to seasonal businesses. I like the pricing structure: in a startup, everybody should be an agent. Zendesk charges per agent. Gorgias' pricing is smarter. For instance, with the current holiday rush of Black Friday Cyber Monday, Danny can easily invite his team members to the Gorgias platform so that everyone can give a hand on support, at no additional cost. This is also super convenient for a subscription-based business: sometimes, boxes are late and customers are waiting more than usual, all asking the same questions. With Gorgias, you can temporarily onboard new agents, and even set up rules and macros without switching pricing structure. The email capture feature on Gorgias live chat allows us to collect new email addresses on a daily basis! This is highly convenient and help us drive sales. Being regularly available over the chat was converting into more sales, so Danny decided to hire someone to manage their chat full time for nine hours a day, while keeping an eye on chat campaigns (chat messages that auto pop up depending on the URL and the time spent on page by the visitor). 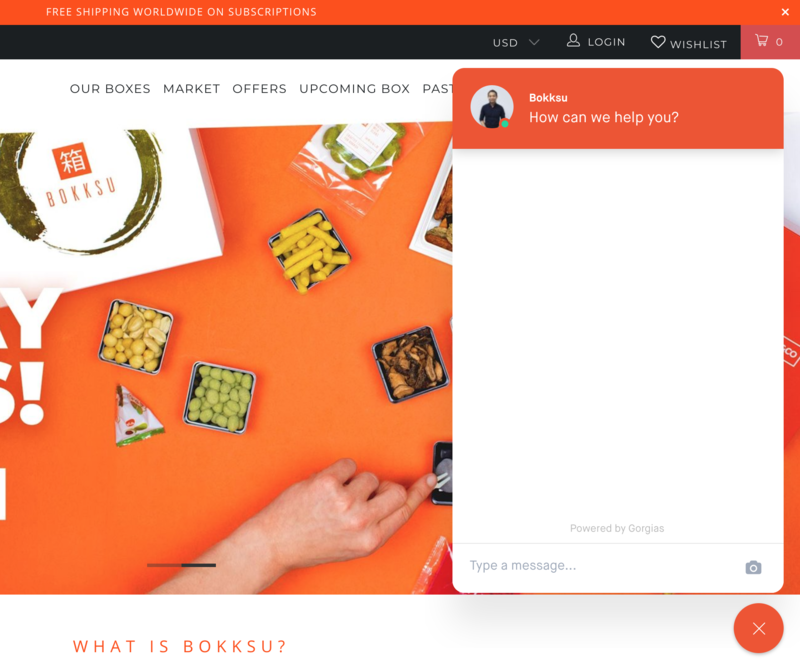 Thanks to Gorgias's integrated live chat feature, BOKKSU is bringing "live marketing" into their website. Thanks to the live chat feature, BOKKSU has been able to drive more sales and collect potential customers' email address with email capture function. This is obviously good news for the company revenue! 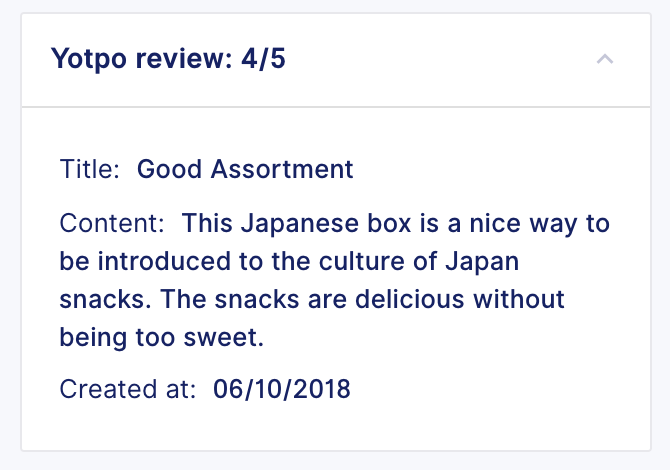 Nevertheless, the most important metrics at BOKKSU is customer satisfaction. And thanks to Gorgias's integrations, BOKKSU has cut down their response time by 50%, while increasing customer satisfaction. Build a 100% integrated customer support solution. Using Gorgias's native and HTTP integrations.